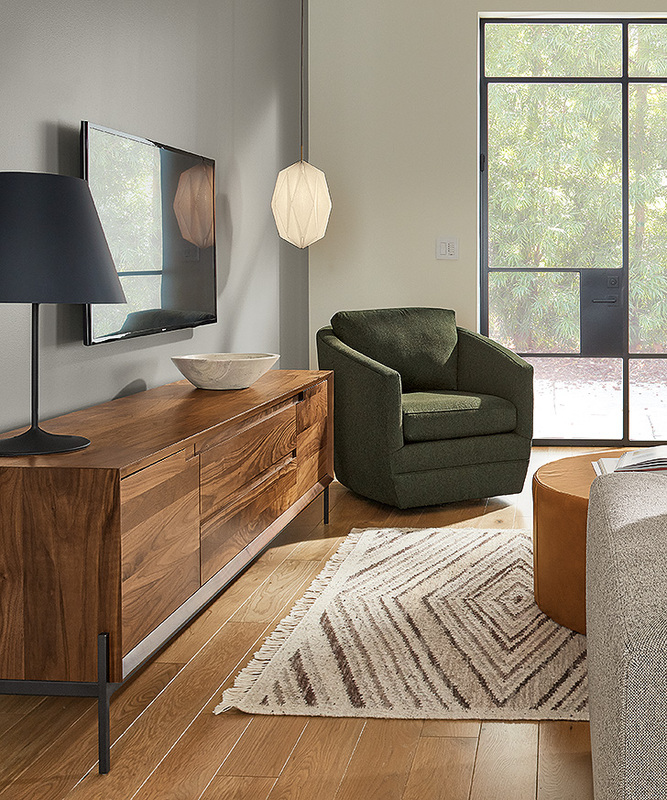 The beauty of modern style is making your home look effortless, yet polished. 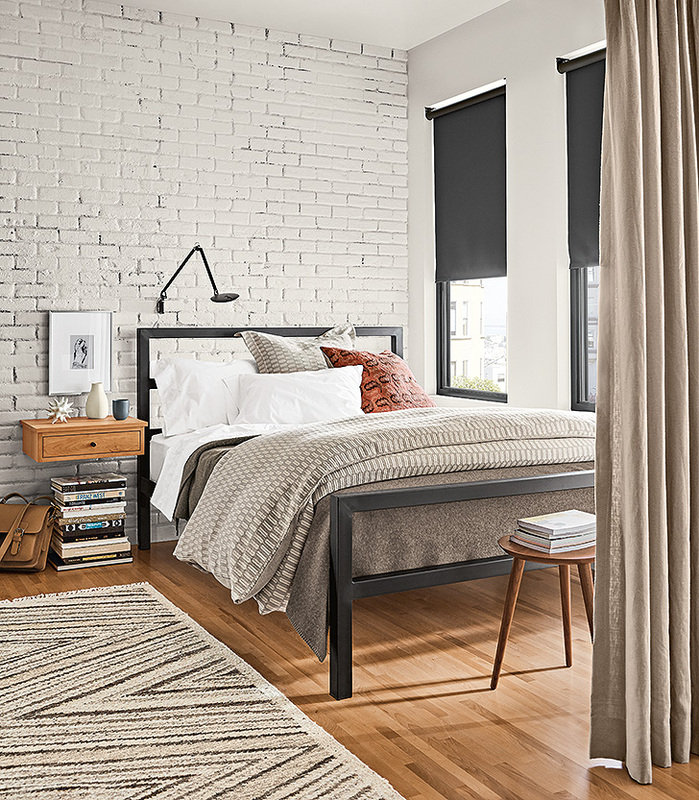 Think of these easy ideas as less of a full-home makeover and more like a face lift – each one is easy enough to knock out in a weekend, but adds modern style that will look timeless for years to come. Modern design brings function where it wasn’t before, ergo DIY wall storage. 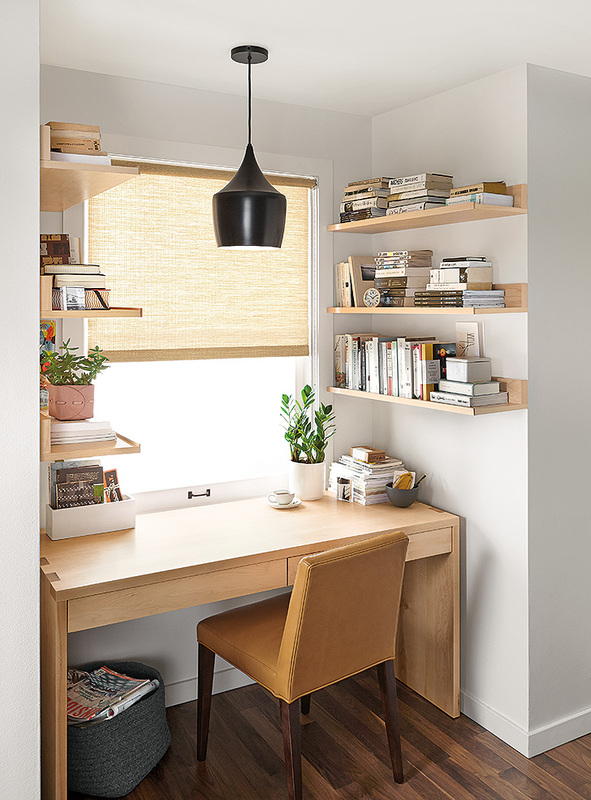 If your home doesn’t have built-in storage, Room & Board’s wall shelves and ledges make it easy to create storage that’s just as beautiful and helpful (at a fraction of the cost). Adding a rug is an easy way to bring texture and color into any room. Layering a patterned rug over neutral carpet will always look intentional and modern. We love how the Avani wool rug ties this bedroom together and pairs back to the dark blues and greys of the throw blanket. Plus, your feet will love hopping onto something extra cushy and soft in the morning. A modern pedant light is not only a beautiful focal point in a room, but it provides significant light output without taking up floor space. Almost all of our pendants are exclusively designed and made from a mix of unique materials. A well-placed bench can take an ordinary room to the next modern level. Not only is it a space-saver, a bench can usually seat more people around a table and offers a distinct design point of view. Take our Ava bench, for example. 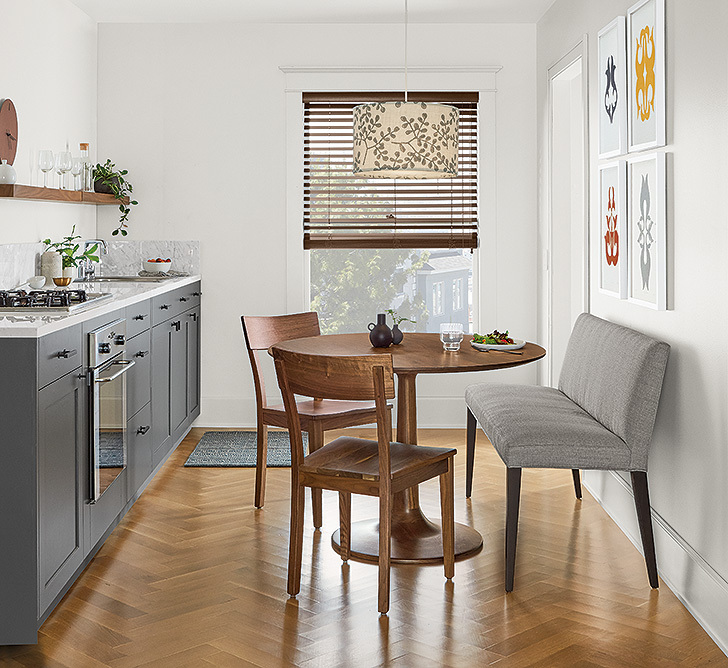 Its plush fabric seat adds a fresh mix of materials next to the solid wood Madison table and Doyle chairs. We already talked about shelves and ledges, but have you considered additional wall-anchored storage or lighting? 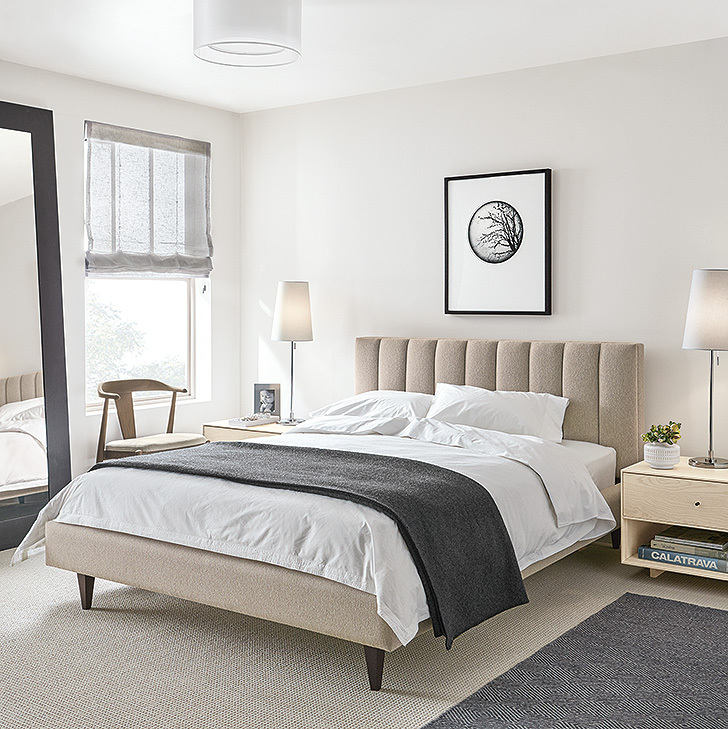 This clean look is ultra-modern and we love the contemporary feel and function it adds to a space.